If you are looking for a tranquil place in the heart of the North Shore then David White Classical Acupuncture North Sydney is here for you. Located in a beautiful art deco clinic in Crows Nest, Dr David White offers Acupuncture, Chinese Herbal Medicine, Dietary Consultations, Health Programs, Neigong and Meditation Instruction and other therapies. With over 22 years experience and the most rigorous classical training we can be sure to help you with your health problems. David White Classical Acupuncture North Sydney is only a short bus ride from the city (bus stops at the door), a train ride to either North Sydney station or St. Leonards Station) or we have free parking next to the clinic on Holterman Street. 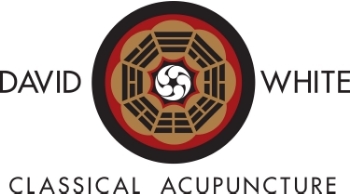 Appointments are available Monday to Saturday strictly through booking by calling (02) 8095 8255, emailing info@classicalacupuncturesydney.com.au, or filling out the form below. For Acupuncture North Sydney news please subscribe to this blog and like our Facebook page www.facebook.com/classicalacupuncturesydney. If you have any questions about Acupuncture, Chinese Medicine and other services in North Sydney then please do not hesitate to contact us. The North Sydney Acupuncture Clinic is located at 1/75 Willoughby Road, Crows Nest, NSW, 2065.